We are a small company, starting out with products and designs that we have had rolling around in our heads for years. Established in 2015, we started out as a home-based business online and going to shows, eventually, in 2016 we opened our first small storefront in Athens, Ohio! We are all about creating simple, iconic designs all for the love of Ohio. We put our designs on super soft apparel and accessories, most of which are made and or printed in Ohio. Because we are so small, we take pride in designing, making, cutting, sorting, advertising, printing, folding, packing, shipping each and every item you buy from us. 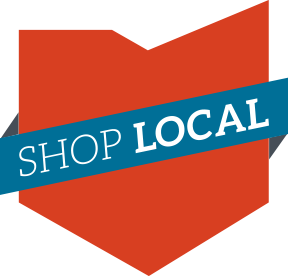 THANK YOU for buying local! We are proud members of the Athens Area Chamber of Commerce. Shipping is always a flat rate of $7. Spend over $75 and get free shipping at checkout! We offer returns and/or exchanges up to 14 days from when the item was received. Items must be in unwashed/unworn condition. Please contact us to setup a return or exchange. Customer is responsible for return shipping. We accept Paypal, Amazon and other major credit cards. Our shirts are not made in the USA, but they are made in responsible, non sweatshop facilities. Our shirts are however printed in Athens, OHIO! We love supporting Ohio jobs when we can! WE LOVE YOUR PRODUCTS! Do you sell wholesale?